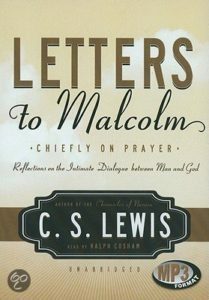 Another C. S. Lewis book that I read recently—for the first time—is Letters to Malcolm: Chiefly on Prayer. One section speaks directly to me with respect to a hard time I’m going through at the moment. Nearly all the things people pray about are unpredictable: the result of a battle or an operation, the losing or getting of a job, the reciprocation of a love. We don’t pray about eclipses. Lest any trial incident to humanity should be lacking, the torments of hope—of suspense, anxiety—were at the last moment loosed upon Him—the supposed possibility that, after all, He might, He just conceivably might, be spared the supreme horror. We all try to accept with some sort of submission our afflictions when they actually arrive. 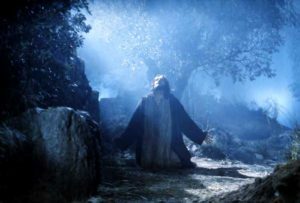 But the prayer in Gethsemane shows that the preceding anxiety is equally God’s will and equally part of our human destiny. The perfect Man experienced it. And the servant is not greater than the master. We are Christians, not Stoics. Who am I to think that I should be allowed a lifetime full of completely manageable, totally predictable moments? That expectation would place me above my Master. I like Lewis’s final sentence very much. The Stoics attempted to glide through life unaffected by anything bad that happened. They sought to so completely control their emotions that nothing bothered them. That is unrealistic. Christians should not expect to be unaffected by the sin and misery that are the common lot of us all, redeemed and unredeemed alike. What we have that the unredeemed do not is a Savior we can look to who knows what it is like to experience similar anxieties. He was fully human, even as He was fully God. He can come to our aid in our darkest hours.